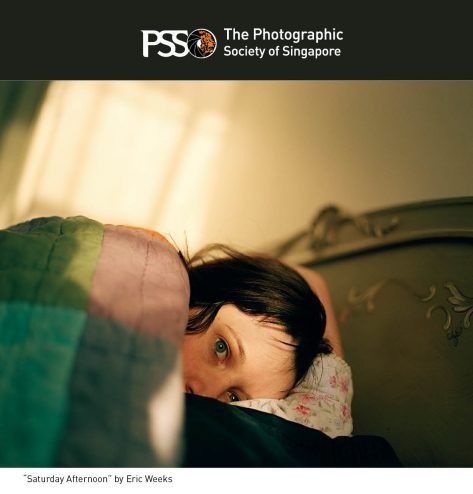 PCA&D Photography Chair Eric Weeks recently exhibited his photography series “A Rose By Any Other Name” in Asia this past May. 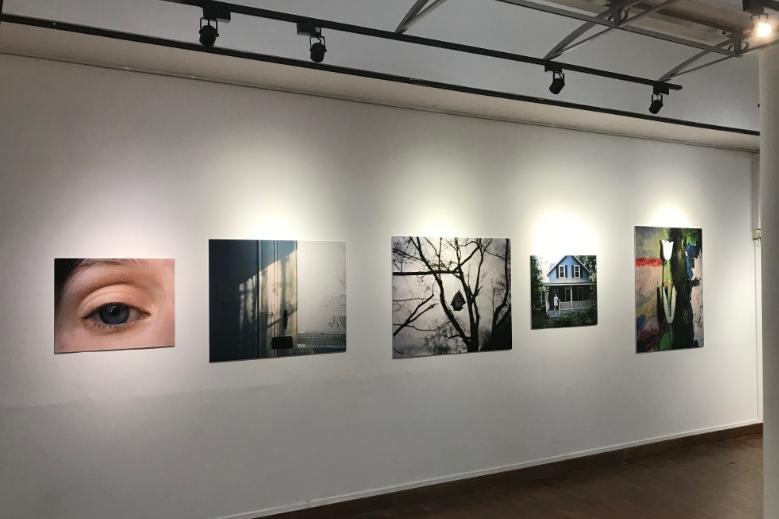 Solo exhibitions were held at The Selegie Arts Centre, The Photographic Society of Singapore in Singapore from May 19-28, and at Gallery 11 at Kyungil University (KIU) , Gyeongsan, South Korea from May 17-June 18. Weeks gave visiting artist lectures at both locations. While there, Weeks continued to seek out collaborative partners for cultural exchange between PCA&D students and students around the world. Kyungil University (KIU) and PCA&D have already had a long-standing relationship between their photography programs. Regularly, for the past seven years, students at in KIU and PCA&D are asked an open-ended question that students at both institutions will then answer through photographs, which are posted on the KIU-PCAD Photography Exchange Tumblr site Learn more. Weeks is currently curating an exhibition of over 80 photographs by current students, alumnae and faculty of the Photography Department at PCA&D. The exhibition will be held at the 2018 Pingyao International Photography Festival in Pingyao, China this coming September. Pingyao International Photography Festival is one of the “Top ten Festivities in China” and has won the prize of “IFEA China’s Most Internationally Influential Ten Festivities.” Last year Weeks’s “A Rose By Any Other Name” was exhibited at the Pingyao International Photography, and now this opportunity is expanded to the PCA&D community. "A name… We give names to people, things, thoughts, and emotions to identify, categorize and differentiate. The photographic combinations presented here are metaphors about that process. These images ask the viewer to re-evaluate the meanings signified by the persons, places, plants and animals and consider the synapses that connect them. I invite the viewer to seek visual correlations that create new emotional and psychological associations. "Visual groupings can function much like verbal language structure with images of nouns serving as subjects, verbs, objects, adjectives, and adverbs. The phrases here communicate complex ideas through pictorial means, rather than literal and linear methods. I am practicing an ancient language with modern instruments while simultaneously echoing today’s postmodern emoji-driven semantics. "My work is concerned with photography's ability to describe specific details and to suggest open-ended stories. In this group of photographs, narrative is presented in each frame as well as between the various images. My goal with this body of work is to visually express the thoughts and emotions associated with struggle, loss, self-actualization, and liberation." 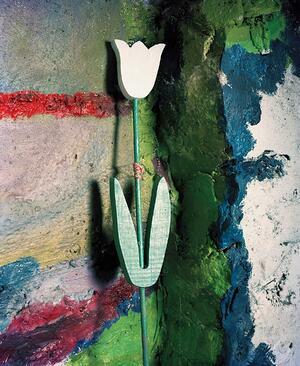 Weeks joined the Photography and Fine Art department at Pennsylvania College of Art & Design as a professor in 2010. He earned his Master of Fine Arts degree from Yale University School of Arts and his Bachelor’s from School of Visual Arts. His short film with collaborator Joshua Reiman, The Wind Dies The Sun Sets, a contemplative consideration of energy extraction and use in Pennsylvania, was selected as the winner of ikonoTV's open call for Art Speaks Out 2016, a curated video program about the environment. Weeks served as Exhibition Director for the 9th Annual Jeonju International Photography Festival, Jeonju, South Korea, held May 21-29, 2016. In addition, Weeks served as a juror for Lancaster Summer Arts Festival's Expanded Visions exhibit, the Ware Center in June 2016. Week’s photograph “WGAL” was selected to be part of PA Modern: A Photography Exhibit of Midcentury Architecture, a juried exhibit for the 50th anniversary celebration of Pennsylvania’s State Museum and Archives Complex. 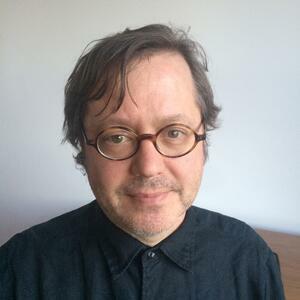 In addition, his work has been shown in multiple galleries locally, nationally, in Asia, Central America and Europe and his photographs are represented in the permanent collections of the Los Angeles County Museum of Art, The Art Institute of Chicago, The Museum of Contemporary Photography, Maison Européene de la Photographie and the Sir Elton John Collection, among others. He received an Individual Creative Artists Fellowship Grant from the Pennsylvania Council on the Arts for 2007.